Woah there! I can’t believe I’m consistently posting here. Good job self. Today I want to talk about healthy lifestyle. I was so amazed at how yogis having the tendency to become vegetarian or vegan through time with their practice. As somebody who loves food, I can’t grasp the idea of not taking in meat. I have nothing against it, it’s just a personal preference. I am amazed at how they are very strict with their diet and how they can maintain it. I fully understood this weeks after I started yoga, with understanding your own body and the hard work you put into it, preserving and being careful with what you eat is not a hard thing to do. Through understanding your body, you feel what’s good to you and what’s bad for you and you’ll do what it takes to feel better. Personally, I haven’t craved for soft drinks more than usual (everybody who knows me knows how much I love soft drinks) and starting yoga I do not want to put my hard work to waste and stopped drinking it. At the moment, although I still give in once in a while, I can get a week or so without it and not crave for it. That’s a huge step for me! I’m working my way to healthy living. Since this is a relatively “famous” pose I would just be telling my experience regarding this pose. This is one of the most done poses during my practice and here are some of what I learned from my individual practice and practicing in a class. Feet shouldbe firmly planted on the ground. Both feet, even the one that is not facing front. Fingers together and activate arm muscles to help in strengthening. Knee should be parallel to the ankle, make sure you can still see the top of your feet. This isn’t much of my experience since I attended absolute yoga today which mainly follows the same sequence each time. I asked my teacher about it and she said it helps in meditation. I took a photo of the balm. Luckily this one is available in the Philippines! In this pose you extend your legs outward, flex your toes, raise your chest up and try to reach the crown of your head on the mat. Continue to feel better friends!! On today’s yoga practice, our teacher put balms on our head during the savasana. 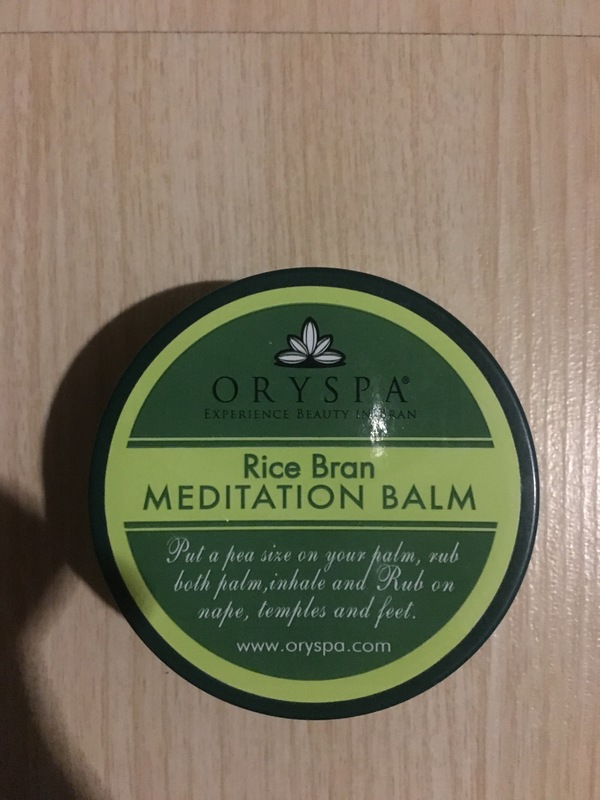 What are yoga balms or meditation balms? Yoga & Meditation Balm is an ancient blend of ingredients to calm, centre & balance your Inner Badger. Stimulating ginger and vetivert promote balance while grounding cedarwood and sandalwood centre the senses. Our teacher placed it on my temples and on the middle of my forehead. It felt menthol-y and it had a super mild grape-leaf menthol scent which actually helped me to relax more and focus on my savasana. Lie on your mat, and spread out your limbs like a starfish. This can be done with opened eyes or closed eyes. Based on experience, savasana allows you to relax but take full attention to your body as well. This allows you to feel more of your body and pay more attention to it. This helps you cool down from your yoga practice as well. As from what I read, although this looks pretty easy relaxing and not moving for a few minutes can be really challenging. And I agree, I still move little movements from time to time during the savasana. So today is a monumental day. The day I did my first headstand. My teacher spotted me but here are some points that were important for me to go up, stay there and properly go down. When going up (for a beginner), make sure you clasp your fingers together, thumbs supporting your head (like giving a thumbs up). Make sure you can hug your elbows. Another tip: if your kneeling, your elbows should be the width of hugging your knees (I don’t know if that makes sense but it’s like that). Engage your core, what they say is “pasok ang tyan” (stomach in). To go down put one leg down followed by the other. That’s me and teacher odie spotting for me. For me, since I’m a beginner, modifications were made for me to prepare for the pose. i was asked to rest my heels on a yoga block with my toes still touching the mat. Palms on the mat, knees outside the elbows and try to lift your feet up alternately at first and when you’re comfortable try to lift both feet. Try to remove the yoga block once you get more comfortable with balancing on your toes. The traditional yoga practiced in North America is typically Yang Yoga. It usually targets the muscles with aggressive stretching postures and breathing exercises. Yin Yoga is the counterbalance to the practice of Yang Yoga, and is sometimes referred to as yoga for the joints. What does that mean? This yoga form begins with relaxed muscles and targets the ligaments and joints that asana styles don’t normally exercise. Sometimes it is also referred to as soft yoga even though it can be more challenging than some yang poses. 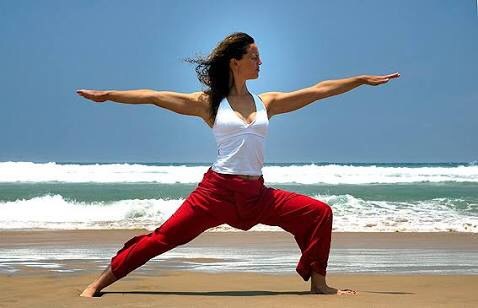 It involves postures that are held for longer periods of time than yang yoga. Some poses are held for up to 20 minutes. This stretches and strengthens connective tissues that are much deeper than superficial or muscular tissues. Yin and Yang tissues are affected much differently with each style. Yang is considered more dynamic, because it stretches and strengthens muscular tissues with an emphasis on internal heating. Yin focuses on the connections in the pelvis, hips, and even the lower spine. Most yang postures involve standing while most yin postures involve sitting or laying down. Many yoga masters feel the combination of yin and yang poses balance each other out and give the body the full exercise it truly needs. 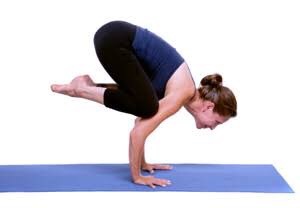 It is even suggested that practicing only the Yang side of yoga is only half of the asana practice. So generally: yang yoga is for stretching and yin is more strengthing (if I remember this and understood it correctly). Disclaimer: these are how I understand this and please to not quote me on this. Check the links for better information. For today’s story, I’d like to talk about things about yoga which they always say/do but is not known to the public. We all know the downward facing dog (which I described at an earlier episode. You can read it here) and the child’s pose. I also talked about vinyasa which is a series if poses done in succession during the yoga practice. Now let’s talk about these two. Here’s a link to yogajournal on how to actually do it. I found a helpful video here. Apparently I was doing it wrong and I can now maximize my capabilities after this reasearch. How to do it? It’s basically a plank. So doing the vinyasa will mean that it’s a push down? (Opposite of push up? Haha) for you to continue the rest of the vinyasa. But here’s a link to yogajournal that could actually help you. This is usually what my teachers ask us to do after sequences of pose to be “relaxed” if you can say that. Continue to feel better, friends! I went to my 3rd yoga class yesterday after work for my bi-weekly workout (I skipped workout last sunday) and that class was an ashtanga yoga class. This dynamic, physically demanding practice synchronizes breath and movement to produce an internal heat designed to purify the body. Ashtanga yoga, with its many vinyasas, is great for building core strength and toning the body. Prepare to sweat as you briskly move through a set sequence. Ashtanga Yoga was founded by K. Pattabhi Jois. ﻿I felt that this is lacking a little more detail so I searched some more. 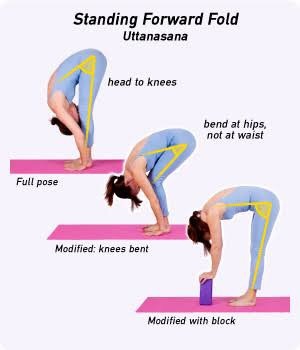 True to what the article says (and as our teacher said) ashtanga yoga is a series of poses starting from easy ones to more dynamic ones. Options are given and monitoring your own pace is important. Key to ashtanga yoga is breathing so you really have to be mindful of how many breaths you take and the quality of the inhales and exhales. It was more challenging than my previous vinyasa classes as this type of yoga holds poses for a longer time and it really requires endurance. This felt like I’m working more on my strength especially in the core region. The highlight for me was my first step towards the inversion practice as they call it. What is the inversion practice? Strengthens. 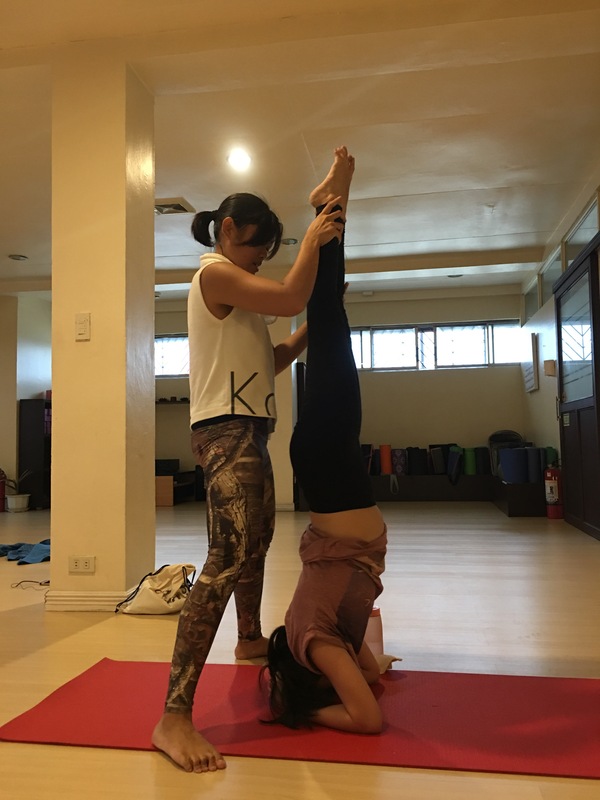 Inversions like Shoulderstand, Headstand, Handstand and Forearm Balance strengthen the arms, legs, back and core abdominal muscles. 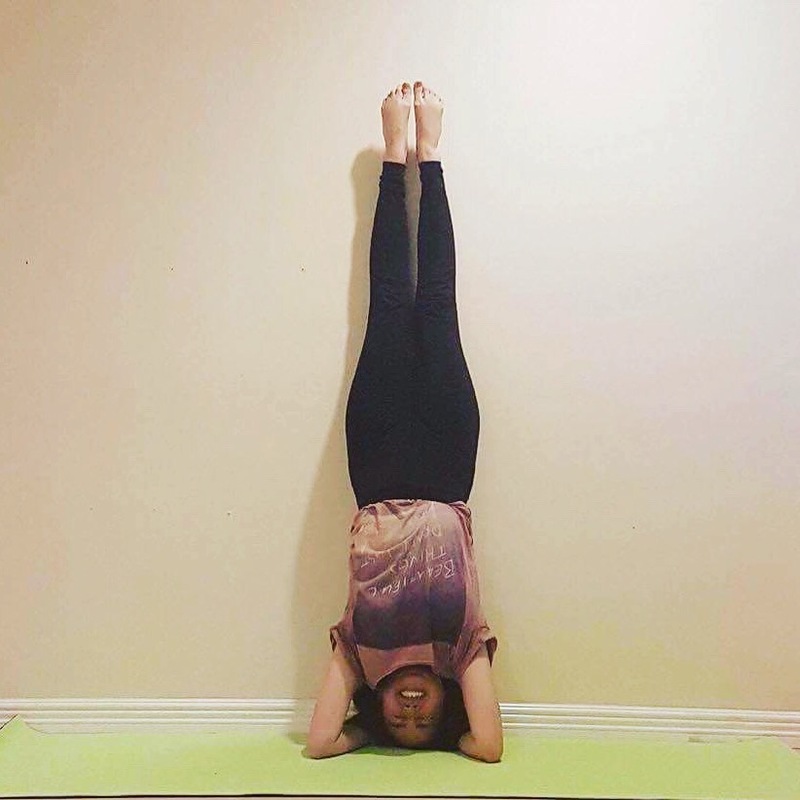 So one of the most popular is the headstand which is what the teacher told me to start with. The key I learned is that the arms are the ones bearing the weight and not the head nor the neck. Stop the inversion once there’s pressure on the neck. Stay low for a few breaths after going down to avoid being dizzy. I won’t go into details on how you start with it but one thing’s for sure, my arm kinda hurts right now.